Methodist preaching commenced in the village before 1819, but the first chapel, built by the Wesleyan Methodists, was opened in 1834 and seated 170 people. It is not known whether this was on the site of the present chapel in Salem Street or somewhere else in the village. This first chapel was, however, replaced by the present chapel in 1878. The Free Methodists, later called the United Methodists, built their first chapel in 1854, and again the site is unknown. This was replaced in 1908 by a chapel built in High Street, at that time called Spalding Road. This closed in 1955, and the building, now enlarged, is used as a Cooperative shop and post office. The Salem Street chapel acquired its organ, built by Conacher, from the Crescent chapel in Spalding upon its closure in 1955. In 2003, there was a major remodelling and refurbishment. 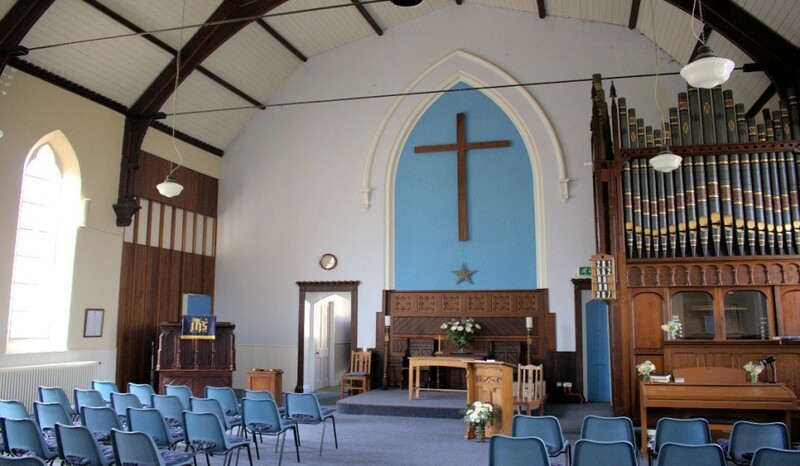 Excellent kitchen and toilet facilities were installed, the pews were removed and replaced by chairs, and the premises were carpeted and redecorated. To help more and more people to know the love which God has for each one of us, to learn about Jesus, and to experience the power of the Holy Spirit in their lives. We meet for worship on Sundays at 10.30 am. On three Sunday afternoons a year we hold a “Tea-Pot” service, which starts at 4 pm with afternoon tea, followed by a short time of worship including your favourite hymns, and finishes at about 5.30 pm. For all events, please check the calendar in the Forthcoming Events section. This is an informal meeting held once a month on a Tuesday morning. This meets on the second Thursday of each month from September to June, (excluding December), at 7.30 pm, with a programme of light, general interest talks for ladies. This meets on the last Thursday of each month, (excluding August and December), for a three-course lunch at 12 noon. The cost is £6. Places have to be booked, and there is unfortunately a waiting list. We have a Flower Festival each year with a different theme.